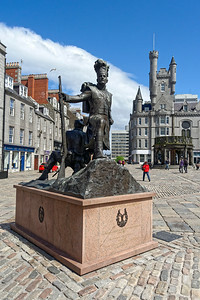 Aberdeen on a sunny day! 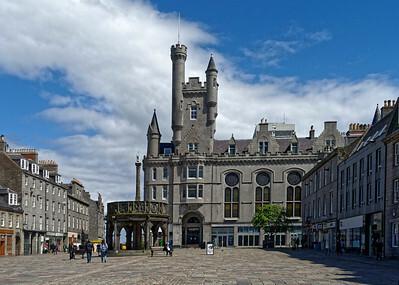 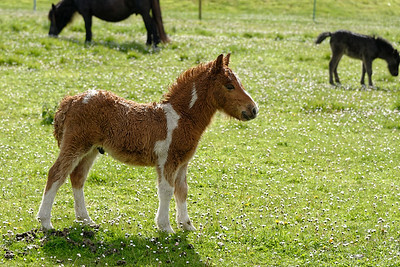 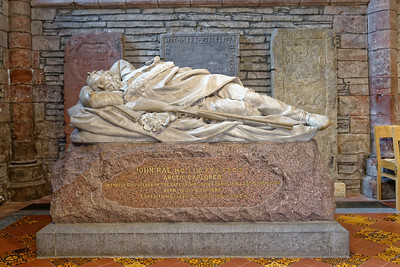 Aberdeen is mainly built of local Caledonian granite. 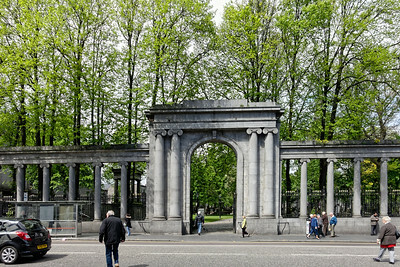 It looks a bit grim, even on a sunny day. 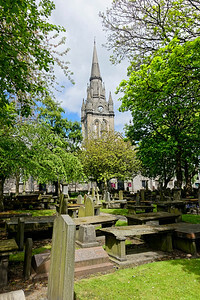 This church and associated yard is in the centre of Aberdeen, and seems to be a haven of peace in the city. 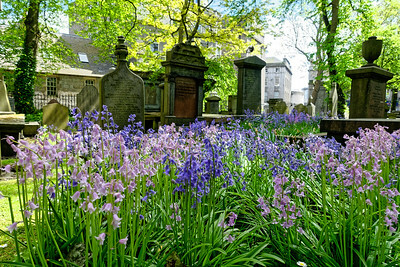 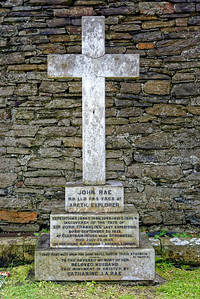 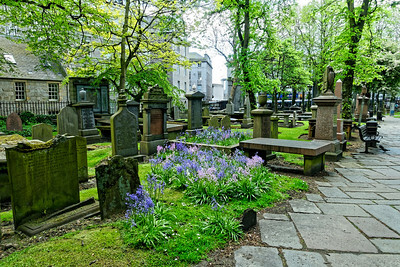 This church yard is in the centre of Aberdeen, and seems to be a haven of peace in the city. 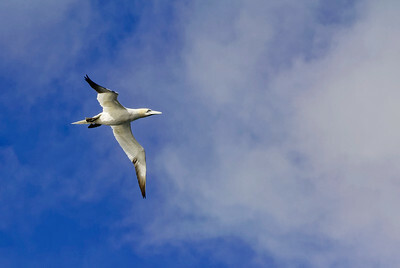 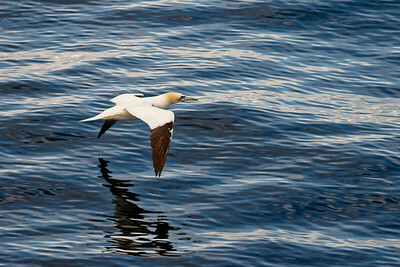 Gannet, Isle of Noss, Shetland. 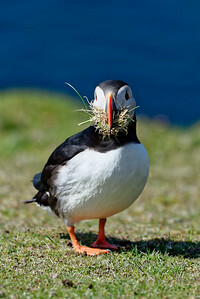 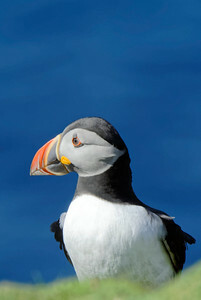 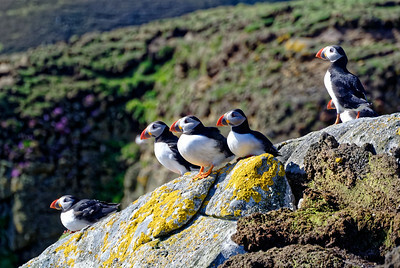 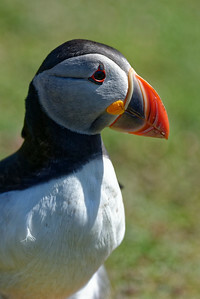 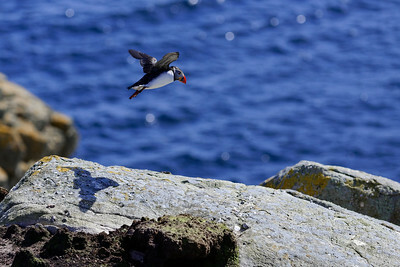 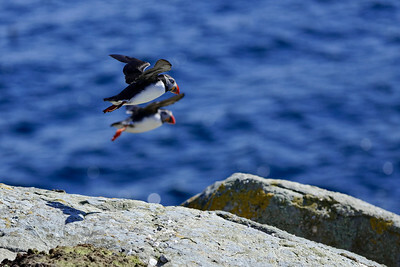 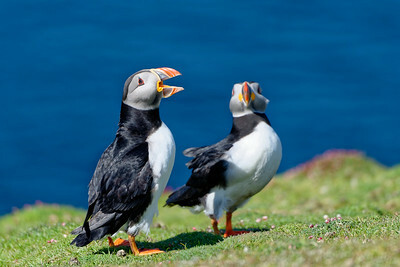 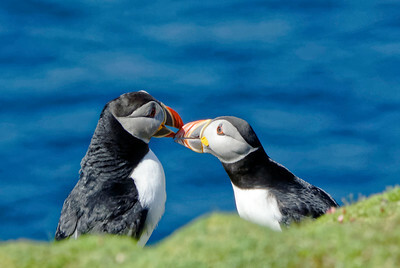 There's only one species of puffin! 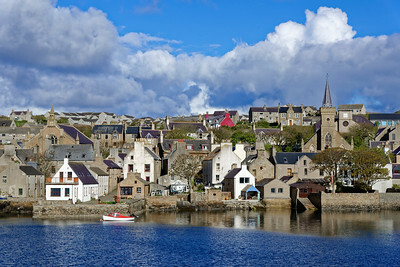 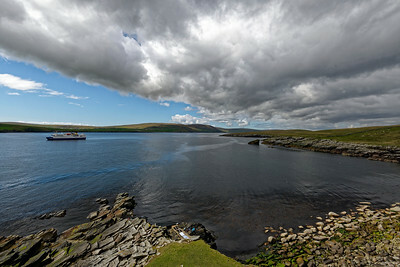 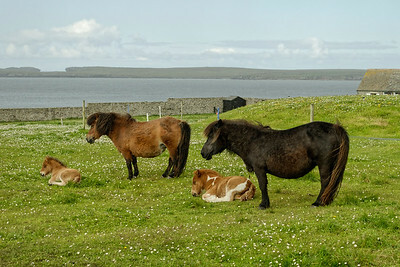 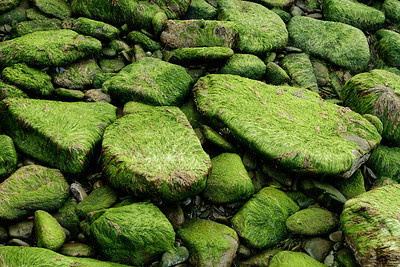 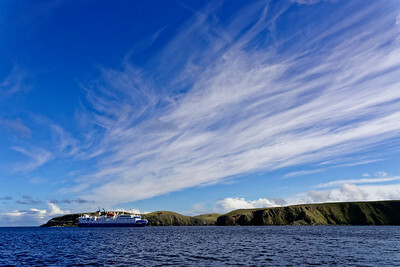 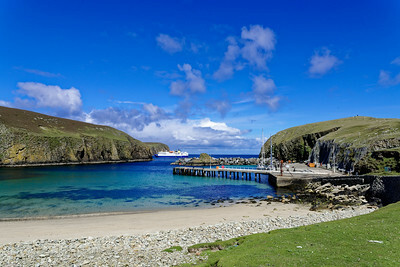 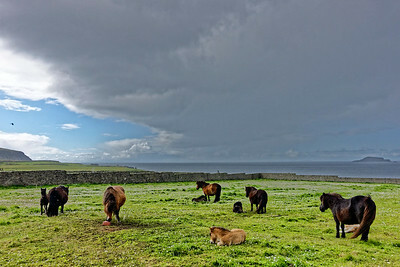 A few specks of rock and land midway between Shetland and Orkney, Fair Isle was a important stepping point for the early settlers and the Vikings. 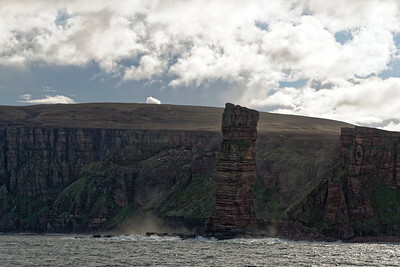 The Old Man of Hoy, Orkney. 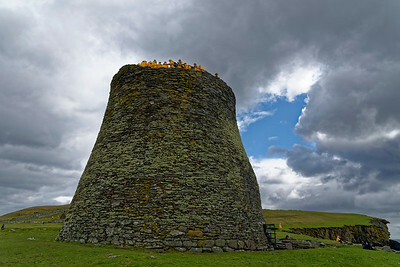 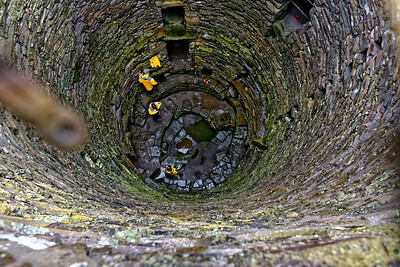 It doesn't look too big, but stands 445 feet high. 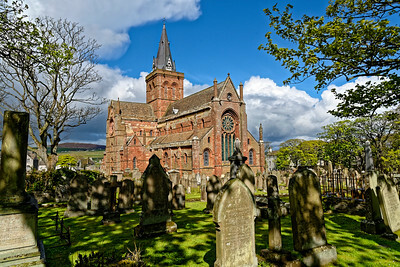 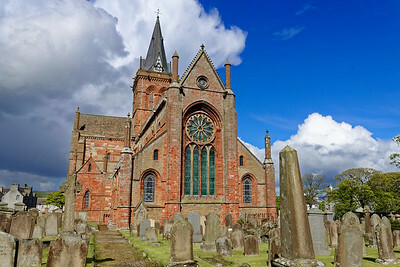 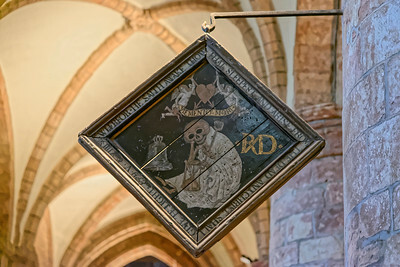 St. Magnus Cathedral, Kirkwall, Orkney. 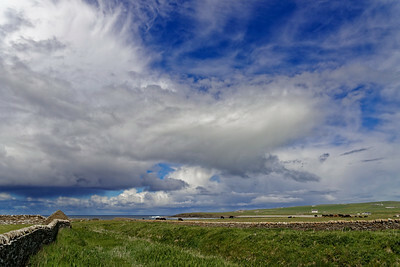 St.Olaf's was originally a Christian Viking church, built near the waterline. 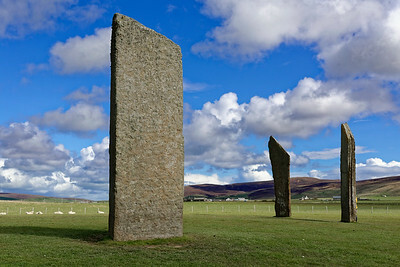 Standing stones, several thousands of years old. 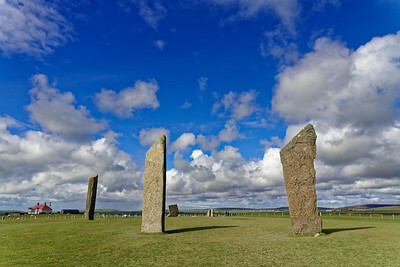 The Stones of Stenness, Orkney. 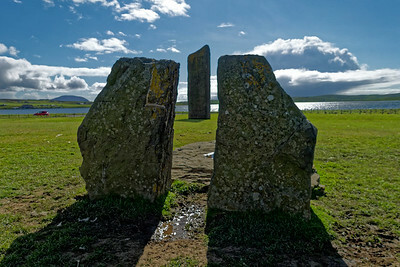 There are only a few of these stones left, some were dynamited by the local farmer in the late 19th century. 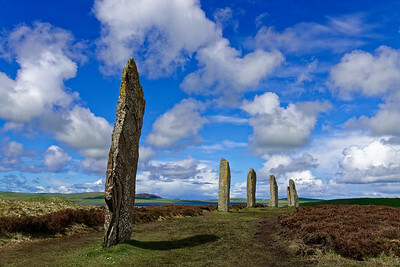 Standing Stones of Stenness, Orkney. 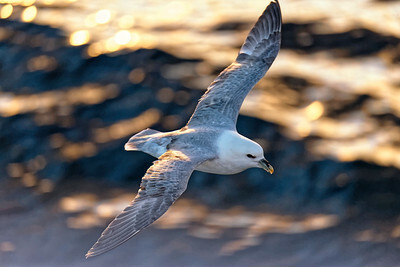 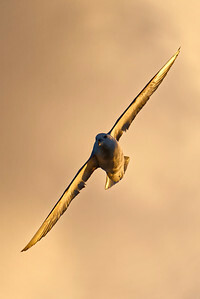 Northern Fulmar, Isle of Noss, Shetland. 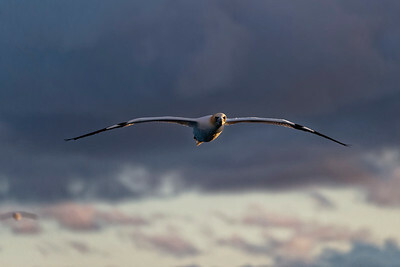 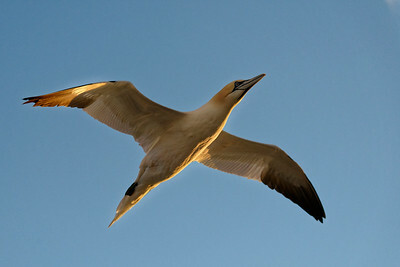 Actually a common gannet, lit from below by the setting sun, just off Shetland.